The Broad-Based Black Economic Empowerment (BBBEE) Commission and National Treasury are probing Metropolitan Health for allegedly using a small black business as a front to win a major contract to administer the Government Employees’ Medical Scheme (Gems). The commission told City Press this week that the complaint laid against Metropolitan Health had “indicators of fronting”. At the same time, National Treasury has launched a full investigation into the same allegations of fronting by Metropolitan Health. Last week, Ntsumi Telecommunications requested the commission and Treasury to probe the company’s claims that Metropolitan Health had used it as a front in order to land a multimillion-rand contract to administer Gems. Metropolitan Health is a subsidiary of the financial services conglomerate Metropolitan, which, in turn, is a subsidiary of MMI Holdings. In a statement to City Press, Sidwell Medupe, spokesman for the department of trade and industry, declined to discuss the merits of Ntsumi’s case against Metropolitan. However, he said that “generally, the content of the matter has indicators of fronting, which should be substantiated”. Medupe confirmed that the commission had received Ntsumi’s request for an investigation. Meanwhile, Treasury said it had launched a full investigation into Ntsumi’s complaint, which the company had forwarded to Deputy Finance Minister Mondli Gungubele. 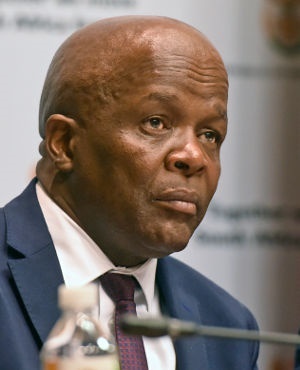 Gungubele’s adviser, Bobo Mokoena, told City Press that Treasury decided to launch an investigation after efforts to mediate between Ntsumi and Metropolitan Health collapsed. “I had lengthy meetings with both groups. I met them individually and I met them together. We wanted to know if there was no confusion caused by the misunderstanding of contractual obligations. Mokoena said following the meetings, it was decided that Treasury’s chief procurement officer, Willie Mathebula, should launch a full investigation to verify if Ntsumi’s allegations were correct or not. The probes follow a report in City Press last month, stating that in October last year, Solly Mlondobozi, the executive chairperson of Ntsumi Telecommunications, had filed a R60 million lawsuit against Metropolitan in the Western Cape High Court. In his papers, Mlondobozi claimed that in 2014, Metropolitan Health used his BBBEE status to score a multimillion-rand contract to administer Gems. Mlondobozi claims that he was awarded a contract to distribute medical aid claim messages to Gems members on behalf of Metropolitan via SMS and MMS. Mlondobozi alleges that after winning the tender, Metropolitan used the services of his company for 18 months, after which it cancelled the tender. Furthermore, he alleges that Metropolitan breached the contract by awarding the delivery of messages to Gems members via SMS to a “white company” instead of his company. The financial services giant denied Mlondobozi’s allegations that it used his company as a front to get the Gems tender. Ali Hamdulay, the CEO of Metropolitan Health, said: “This appointment of Metropolitan Health to render administrative services to Gems was entirely merit-based on the significant strength of Metropolitan Health, and not on the strength of any subcontractor to which a limited portion of service had been subcontracted. He said the company was satisfied that it acted at all times in accordance with the law and within its contractual obligations to Ntsumi. “We believe the matter to be a dispute relating to the termination of contract, and the allegations of fronting are a distortion of the true facts. “As a proudly Level 1 BBBEE company, we categorically refute that Metropolitan Health used Ntsumi as a front, or that Metropolitan Health is guilty of fronting in any manner. The company, he said, had applied to court to have the case dismissed as it believed Ntsumi brought an inadequate case that had no merit. Metropolitan Health was engaging proactively with the BBBEE Commission, Treasury and other industry bodies to provide those institutions with the full background and to address any false information they might have received, he said. An addendum to the original contract showed that Ntsumi had been awarded the SMS portion of the contract as well, but Hamdulay denied this. He also poured cold water over Mlondobozi’s claims that Metropolitan had appointed a “white company”, instead of Ntsumi, to deliver messages to Gems members via SMS. Further, he disputed that Treasury was investigating the matter. He referred to a letter he had received from Treasury director-general Dondo Mogajane last month in which he told Metropolitan that the finance ministry would neither intervene nor mediate between Ntsumi and Metropolitan as the Gems fell under the jurisdiction of the department of public service and administration. Gems principal officer Guni Goolab said that while Metropolitan had an obligation to spend 5% of the contract on a BBBEE supplier, that portion could have been spent on any BBBEE entity and not necessarily Ntsumi. Metropolitan’s bid documents had three BBBEE suppliers, including Ntsumi.